KEN YUSZKUS/Staff photo. 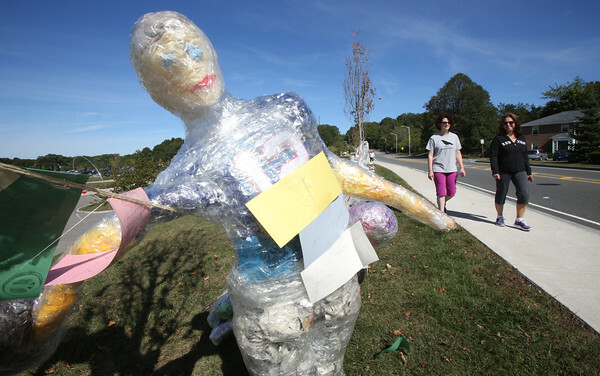 Kate Abell, left, and Marie Garcia walk past life size figure sculptures which line Sohier Road in front of the Beverly High School on International Day of Peace. 9/21 /15.